Why Central Banks Are So Scared Of Cryptocurrencies? The ever-growing potential of digital currencies, otherwise known as cryptocurrencies, have the world’s central banks spinning. 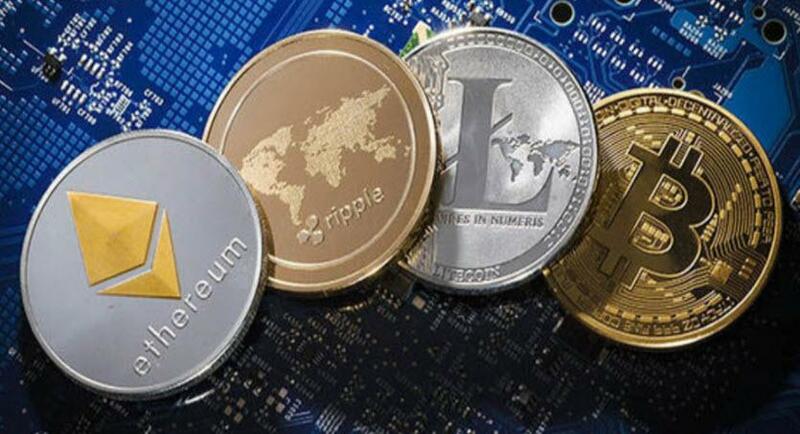 The security issues are of prime concern, especially after a $500-million security breach in Japan, and the possibility of volatile swings in the price of unregulated cryptocurrencies. The second most prominent reason why central banks around the world are not happy about cryptocurrencies is the way it allows people to transact by storing value in the form of decentralized digital currencies. The Federal Reserve Bank hasn’t jumped on the cryptocurrency bandwagon yet. According to Chair of Federal Reserve, Jerome Powell, technical issues and risk management will present a challenge and is best left to the private sector. However, future policy plans are not out of the question either. The European Central Bank has been equally unimpressed, linking Bitcoin with unstable currency fluctuation, tax evasion, and other crimes. At this point, the ECB does not see cryptocurrency as a threat to their monopoly, but it’s unclear if and when this attitude might change in the future. However, it’s interesting to note that although the central bank is pushing this rhetoric to the public, they are constantly exploring ways to eliminate cash and centralize this monetary structure preventing people from choosing alternative currencies. Japan is still ruled by the cash. While credit cards are acceptable, many huge financial transactions are still being conducted in paper money. The Japanese have an innate distrust of debt. Moreover, cash transactions are more difficult for the government to track. For the time being, Japanese are considering cryptocurrencies such as Bitcoin, only as a way of investment rather than a method of payment. However, the Japanese government did take note of the recent $500 million theft of digital currency from Tokyo’s CoinCheck, Inc. At the moment, there are no plans from the Japanese government to issue any form of cryptocurrency. However, Japanese people stockpiling cash due to draconian negative interest rates might be serving as the catalyst for their interest in the digital currency. In fact, the country is becoming one of the biggest markets for cryptocurrency with 40% of the Bitcoin trading from October to November 2017 being conducted in Yen. Germany is another cash-friendly country. The Deutsche Bundesbank is wary of the Bitcoin’s speculative nature and is hesitant to include cryptocurrency in its established business model. However, the bank has shown interest in developing cryptocurrency technology into a payment system. This interest makes sense as Berlin is dubbed “Bitcoin Capital of Europe.” Germans enjoy dealing in Bitcoins from buying real estate and booking holidays to dining in bars and paying for education. Hence, the shift in Germany towards cryptocurrency is quite evident. One central bank paying positive attention to cryptocurrencies is the Bank of England. It is investigating the technology for protection from cybercrimes and improvement in the speed of digital payment methods between buyers and sellers. However, the Bank of England is not currently considering introducing its own cybercurrency. The Bank of Russia has called cryptocurrency a pyramid scheme. It intends to block relevant websites that may enable its citizens to invest in Bitcoin. Russia has declared cryptocurrency illegal even though President Putin’s internet ombudsman, Dmitry Marinichev, is currently building, what’s called the Russian Mining Center that has raised $53 million to-date. The National Bank of Poland went overzealous with its attempts to discourage its people from using cryptocurrency. The bank paid a YouTube star more than $25,000 to talk about buying fake cryptocurrency and losing it all in a crash. The aim is to warn the public about the potential risks of digital currency. The site has had over half a million viewers and this is the only central bank backing a popular video site in its campaign to highlight its message. As a result, several potential investors stepped back and opted not to invest in the digital currencies. The central banks around the world are adopting the same attitude of caution by warning their citizens but still studying the potential of the cryptocurrencies for the future. No bank can ignore cryptocurrencies due to the rapid interest and adoption from a significant majority. Blockchain, the technology driving Bitcoin, is regarded as the means to safely and effectively transfer funds on a global scale in a decentralized manner. While many US banks see cryptocurrency as a risky investment, Rainer Michael Preiss of Taurus Wealth Advisors views this investment as an alternative to the lack of transparency inherent in many banking transactions. According to Preiss, major banks feel threatened by blockchain’s open transparency, as each transaction is available for you to view. Central banks are clearly interested in the potential of blockchain technology but are unhappy about a currency not within their control. That, in a nutshell, could be the real issue. The possibility of a viable, quick, and transparent monetary technology outside the control of the massive central banking system is making these bankers nervous. It could diminish their almost boundless powers. From the viewpoint of the central banks, the only possible solution is to eventually issue their own cryptocurrency and control it.